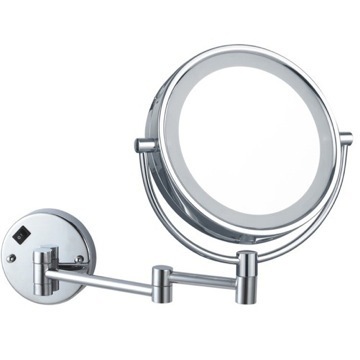 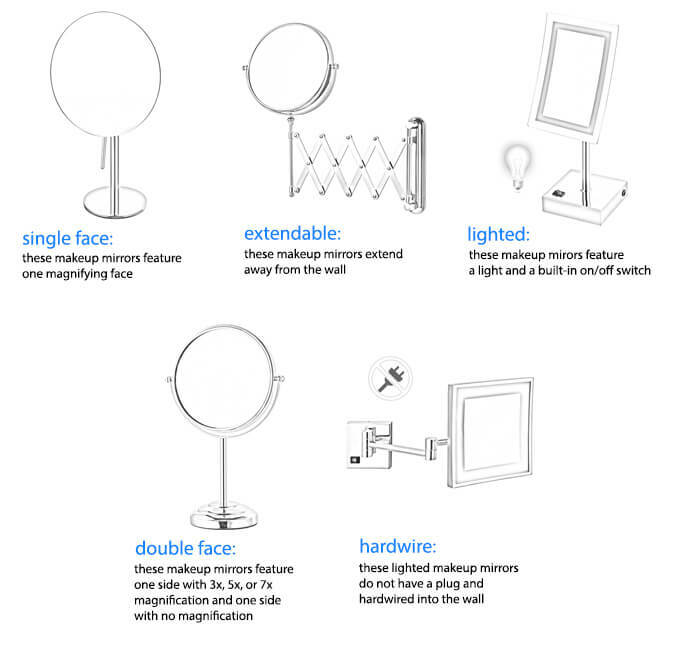 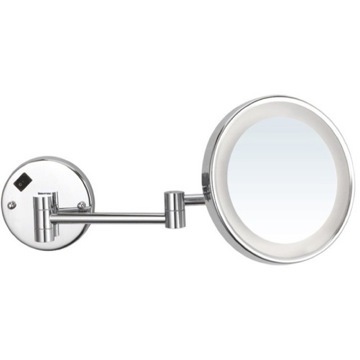 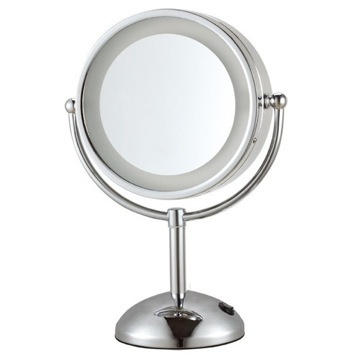 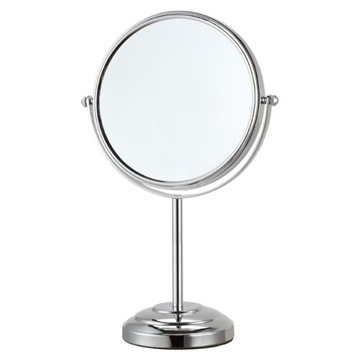 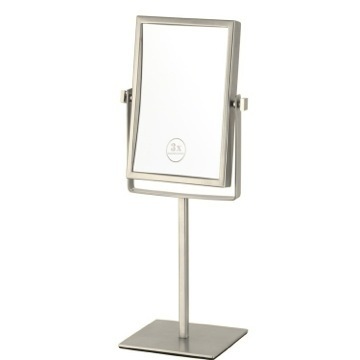 This lighted wall mount makeup mirror comes in a trendy round shape with a striking chrome finish. 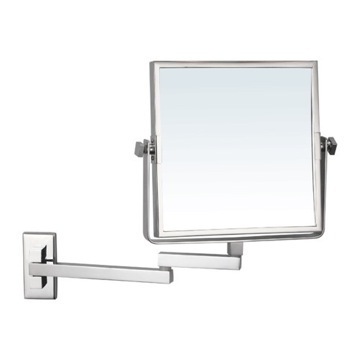 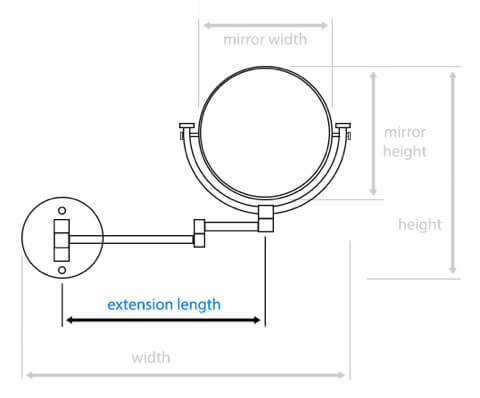 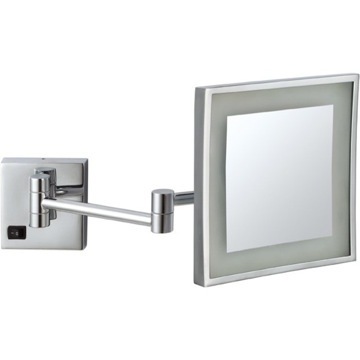 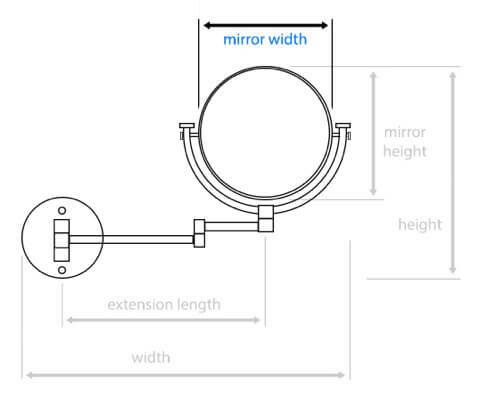 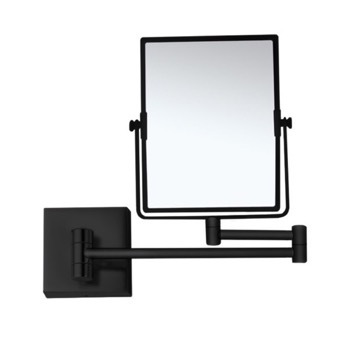 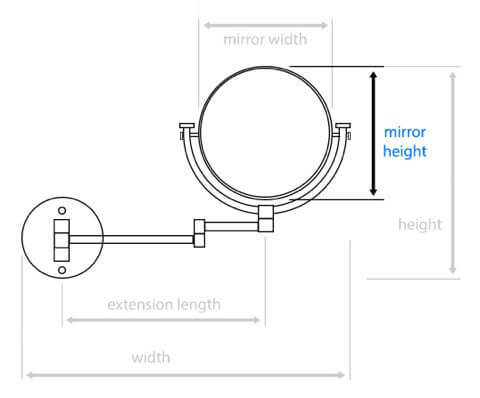 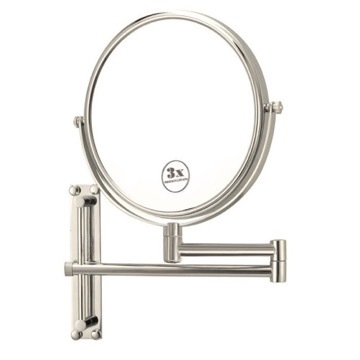 Its high-quality brass construction ensures this mirror will last for ages, and with 5x magnification and a double extendable arm it suits all your bathroom needs. 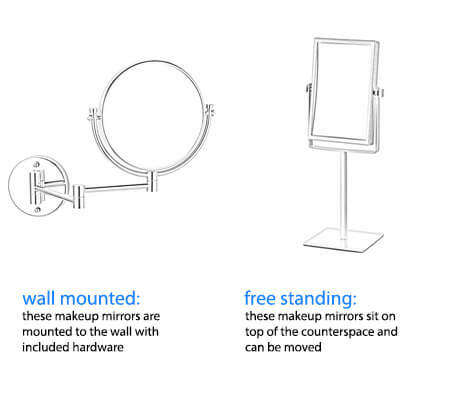 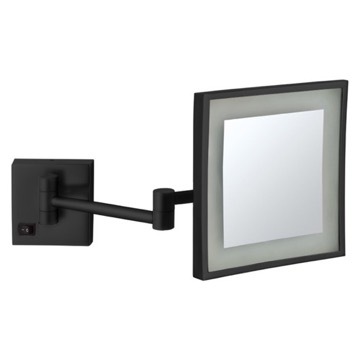 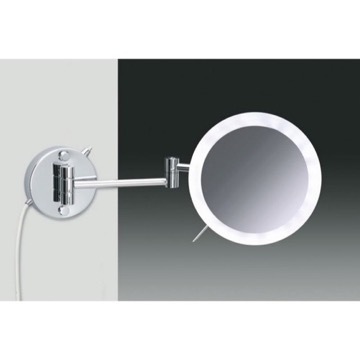 Double faced round wall mounted makeup mirror with LED light. 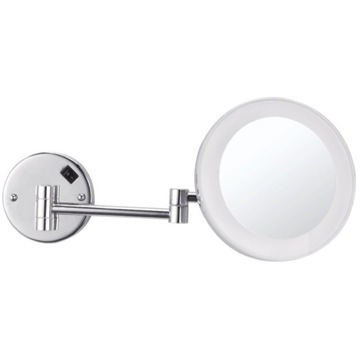 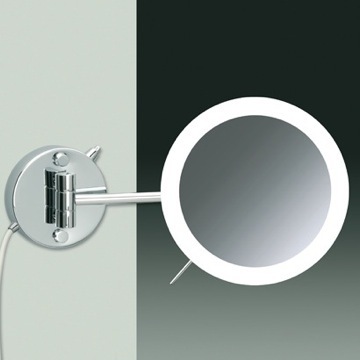 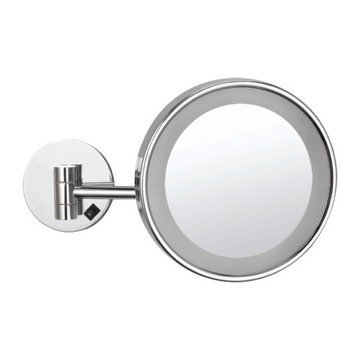 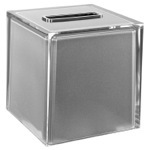 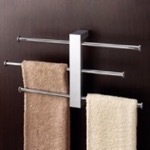 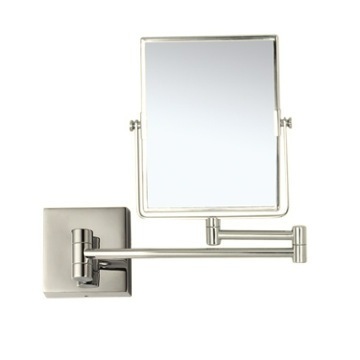 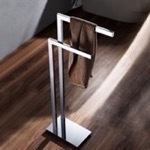 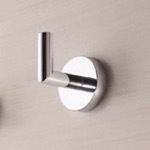 Mirror features 5x magnification and is made of brass with a chrome finish. 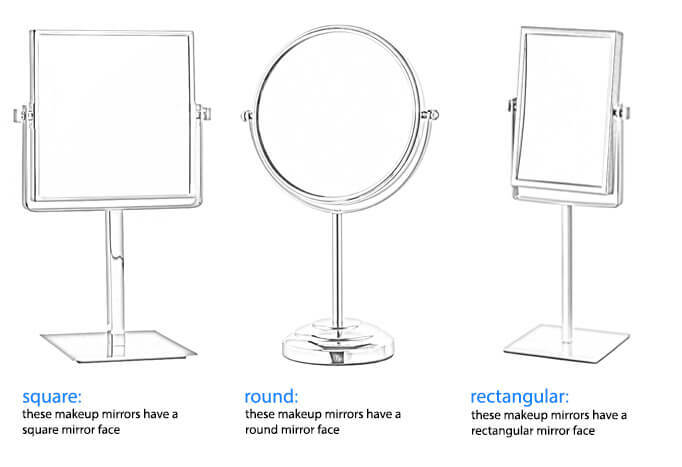 The mirror is exactly as prescribed. 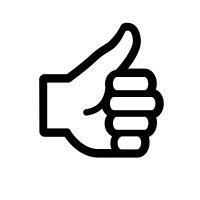 It came well wrapped and on time. 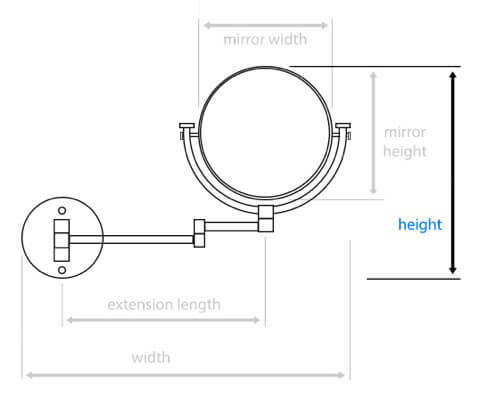 LIGHT IS NOT BRIGHT ENOUGH. 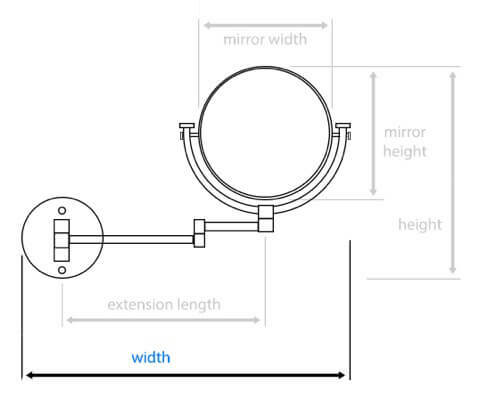 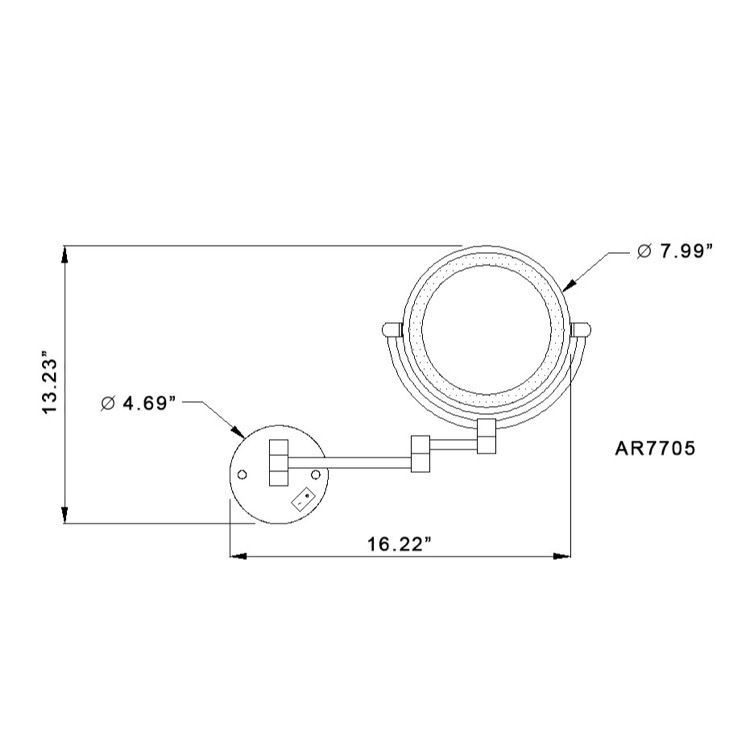 IS THERE A BULB THAT CAN BE REPLACED AND HOW? 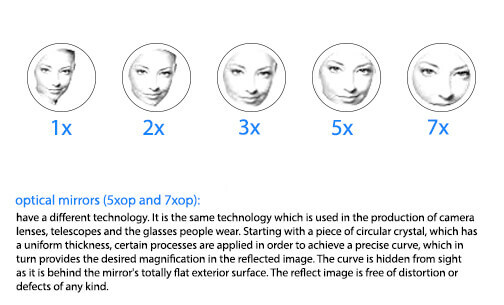 Regrettably, the bulbs cannot be replaced on this product.